On May 5, 1945, an armed uprising broke out in Prague. 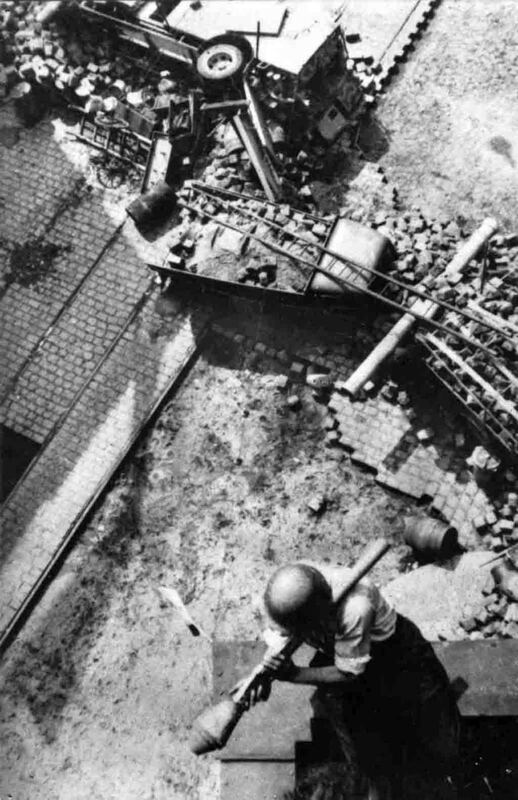 In the picture, a Prague rebel with a German rocket launcher “Faustpatrone” and a helmet on the firing position. Below – a street barricade.